Another day, another bleak report dealing with the short-term repercussions of the mobile industry’s lack of “breakthrough features or specs.” But while Credit Suisse analysts made downright apocalyptic predictions yesterday of a massive Q1 2019 decline in global smartphone production, TrendForce today tackles full-year numbers, which might not be quite so bad. If the market research firm is correct, 1.41 billion smartphones will be produced in total around the world this year, down 3.3 percent from the estimated 2018 tally. In addition to a weak “overall demand outlook” caused by the industry’s inability to innovate in a meaningful and practical way, the US-China trade war is expected to play a key role in driving that figure up or down. If tensions between the two nations continue to escalate, smartphone production could take a hit of up to 5 percent in 2019 compared to last year. Apple’s already dwindling numbers would be dramatically impacted by a heightened trade war, although even if a truce is called, there’s no stopping Huawei now from ranking as the world’s second-largest vendor. Of course, the controversial company can’t defy market trends forever and keep up that impressive recent growth rate. Still, Huawei’s 205 million production total of 2018 is projected to grow by a healthy 8 percent to 225 million units this year, putting quite a distance between the market’s forecasted silver and bronze medalists of 2019. Apple is merely expected to move 189 million iPhones this year, likely to represent a market share of 13 percent, down from a 15 percent slice of the 2018 pie. Huawei should be able to account for around 16 percent of the world’s overall 2019 smartphone production, even though it’s not entirely clear how the aforementioned trade war might impact its own numbers. Speaking of them, Xiaomi, Oppo, and Vivo should retain their fourth, fifth, and sixth place in global shipment rankings while also struggling to achieve growth. 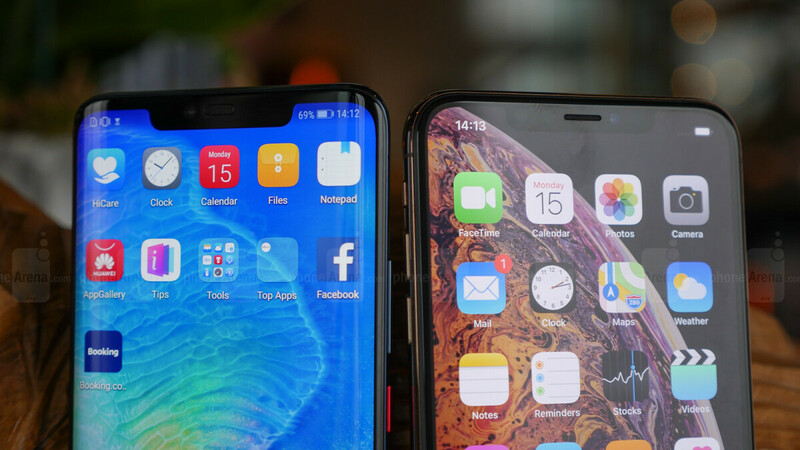 Like Huawei, Xiaomi is forecasted to marginally boost its yearly production, with Oppo and Vivo looking at flat and shrinking volume scores respectively. BBK is the company behind Oppo, OnePlus, Vivo, and Realme. Also China and India combined have around 3 billion people. And Huawei has been growing in both those countries. Yet Apple has been shrinking in those countries. Yep. That's the real ranking. they will but for how long, huawei has manged to jump in less then a year from 699$ phones to 999$ ... so they are also aiming high but their biggest sales are low and mid range phones, that's where they beat everyone. Hauwei could potentially come out this year as number 1. All the power to them. They created a mandate and are executing very well with their only obstacle becoming public perception. Are Honor branded phones included in Hauwei's stats? I don't understand why you brag about paying more for your phone and accessories, it's made of the same components in a cheap Chinese factory just like the phones you bash. Kind of like how you bash Samsung left and right, refuse to own their products, yet LOVE to interact with your SAMSUNG screen. Just shows how much of a laughing stock apple users are in apple's eye when they sell them same hardware with twice the cost. And dont worry, apple is not going to give you any. That is all you think about is profit. That should tell you just how over priced the iPhone is. Apple has already lost its 2ed place standing to all android phones. High end products have biggest profits and Apple sells tens of millions more than anyone else, of course their profits are higher. Did you get your cut yet? I have no doubt of this. Huawei has been putting out a compelling, competitive product for some time now. Apple might just have a BIT more money in the bank than BlackBerry did....and they still made a pretty healthy profit last quarter. It’ll take more than a few years. Lately there has been speculations about Apple acquiring media companies like Disney, Sony Pictures or even Netflix. These companies are worth of tens or even hundreds of billions. Consider also fact that typically 50-80% of mergers fail. All the time there's all kind of speculation about Apple buying this and this :) Just yesterday there was rumour that Apple is going to buy nintendo. It's all just speculation before something happens. https://nintendosoup.com/nintendo-shares-rise-by-5-after-analyst-suggests-apple-to-buy-nintendo/ "NINTENDO SHARES RISE BY 5% AFTER ANALYST SUGGESTS APPLE TO BUY NINTENDO" And you seriously think company that big do such a panic deals? so far biggest what they have bought is beats and it cost 3 billion. If they want to buy netflix etc they really would have to think every scenario what it does for the company, very unlikely they are interested to buying netlix. No smoke without fire.... You just told how markets are seriously thinking these scenarios. So, why not. Only iFools may think that Apple is somehow different.